Speakers Winter 2019 — The Future is you and me. The current cohort will be working with these artistic, community, and creative leaders. Anoushka Ratnarajah is a queer, mixed race femme of Sri Lankan and British ancestry, and an interdisciplinary artist and arts organizer. She has worked as a producer, performer, director and writer in theatre, and a facilitator and consultant with individual artists as well as cultural and arts organizations interested in incorporating equity and anti-oppression into their work. She is currently the Artistic Director at Out on Screen, which produces the Vancouver Queer Film Festival. 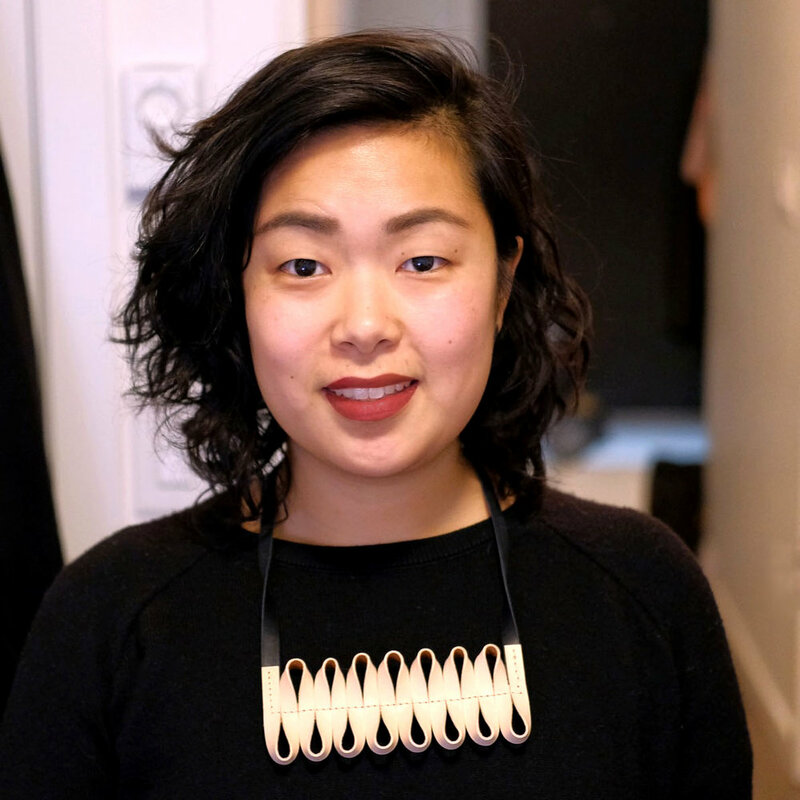 Amanda Huynh is a Vancouver-based product and food designer with a focus on community-building and sustainable design. Amanda earned a Bachelor of Design (Industrial Design) from Emily Carr University of Art + Design and worked as a professional designer for several years before realizing she could combine her love of design and food. This led her to complete a Master's in Food Design from Scuola Politecnica di Design in Milan, Italy. 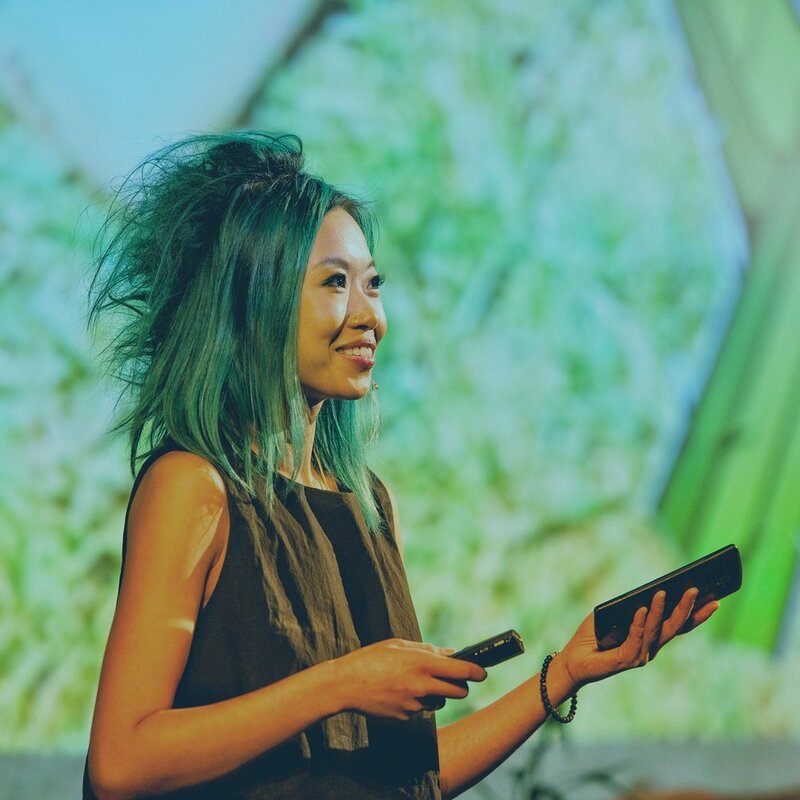 She is an instructor in the Faculties of Design + Dynamic Media and Culture + Community at Emily Carr University of Art + Design, co-founder of Edible Projects and on the Board of Directors at the Hua Foundation. She and her partner live in Mount Pleasant with a cat and a dog named after 90s rappers. Michelle Lorna Nahanee (Squamish) is the designer of a life-size board game and workshop called Sínulhkay and Ladders. She is a creative director, critical communications scholar and Indigenous change maker. Michelle recently completed a Master of Arts in Communication from Simon Fraser University where she wrote “Decolonizing Identity: Indian Girl to Sḵwx̱wú7mesh Matriarch.” She concluded her research with a call to dismantle academic barriers to decolonizing practices. Michelle has 20+ years experience in graphic design and communications. As a strategic communicator, she melds technology and tradition to change opinions, build relationships and increase understanding. Michelle Fu is a cultural worker based in Vancouver, Canada. In 2005, she co-founded 221A, a non-profit organization that focuses on the research and development of social, cultural and ecological infrastructure, where she currently manages the financial and operational systems. Erika Kumar manages Creative BC's direct funding programs, including Domestic Industry Initiatives and the Interactive Fund. Erika is also responsible for the coordination of the MPPIA Short Film Award and the Daryl Duke & William Vince Scholarships. Erika graduated with a Bachelor of Arts degree in Communication from Simon Fraser University, and has an Entertainment Administration Certificate from the University of British Columbia. Prior to working at Creative BC Erika was a project coordinator for The Adbusters Media Foundation. Born and raised in Vancouver, Natasha Neale has always kept a finger to the pulse of the city. A natural next step in her career, her most recent venture focuses on creating a space for pop-ups, whether retail, workshops or special events. Previously, Natasha has co-founded a boutique bookkeeping company for creative professionals and small businesses; was the Digital Marketing and Online Editor for ION Magazine; a merchandiser for Canadian fashion retailer, Aritzia; and worked as a publicist and event planner for a variety of designers, artists, and organizations. Natasha is all about community building, whether it’s hosting a rotating roster of branded pop-ups, or crunching numbers for her clients. When not at the pop-up space, you can find Natasha and her Shiba Inu, Ryu, walking around Mount Pleasant. Alanna Edwards is an artist of Mi'gmaq and settler descent who works at the Surrey Art Gallery as an Engagement Facilitator focusing on Indigenous Contemporary Art initiatives. Having graduated with a BA in Political Science and Gender, Sexuality, and Women's Studies from SFU, she never thought she'd become an artist. That changed when a friend at the burger restaurant she worked at took her to see the Fine Arts Grad Show at Langara College. Alanna signed up the next day. Her work has been exhibited most recently at Centre A and at Deer Lake Gallery, and she will be curating an exhibition at the Crescent Beach Pop-Up Gallery this summer. Alanna is currently finishing her BFA at Kwantlen University and is looking forward to continuing her education and art practice into the future. Cecily Nicholson is from small-town Ontario via Toronto and South Bend and relocated to the Pacific coast almost two decades ago. On Musqueam-, Squamish-, and Tsleil-Waututh- land known as Vancouver, she has worked in the Downtown Eastside neighbourhood for nineteen years—most recently as Administrator of the artist-run centre and mental health resource, Gallery Gachet. 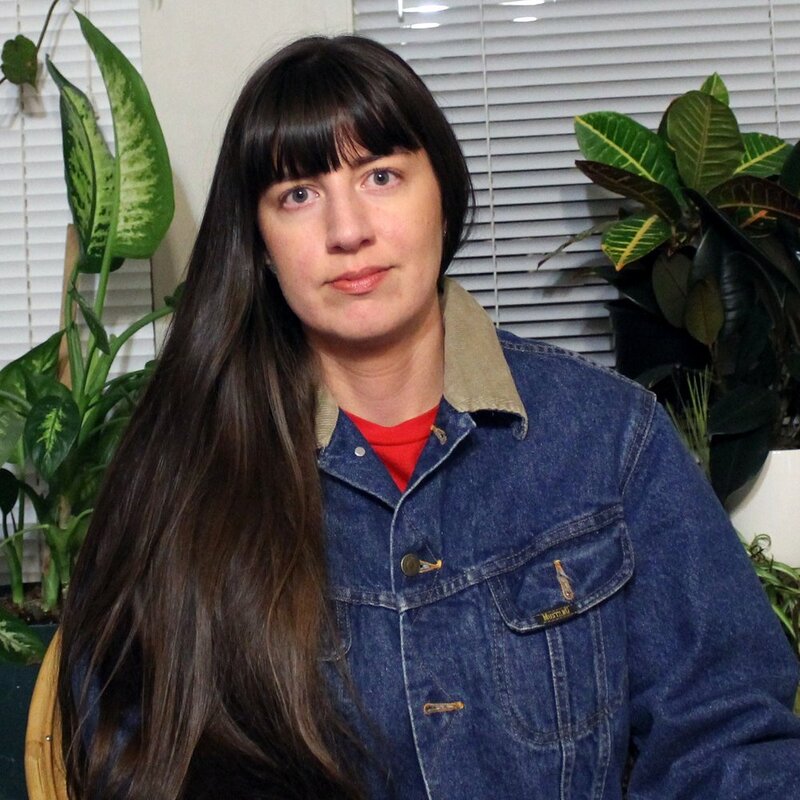 A part of the Joint Effort prison abolitionist group and a member of the Research Ethics Board for Emily Carr University of Art and Design, Cecily is the newly appointed Interpretive Programmer at the Surrey Art Gallery. She is the author of Triage, From the Poplars, winner of the 2015 Dorothy Livesay Poetry Prize and Wayside Sang, winner of the Governor General's award for poetry. Kristin Ramsey is a lover of all things publishing and runs the editorial department at Quietly, a Gastown-based content marketing company. Prior to joining Quietly, she was the Associate Digital Editor of NUVO and MONTECRISTO magazines. She has also worked with SAD Mag for six years, first as a writer, copyeditor, and proofreader and now as co-chair of the board of directors. Kristin is a graduate of Simon Fraser University's Master of Publishing program. Navida has devoted her career over the past 15 years to the creative sector. It started with architecture, then transitioned to graphic design, where she helped launch a start-up which sparked her entrepreneurial spirit. While completing an MBA at the Sauder School of Business, she worked at the Bill Reid Gallery of Northwest Coast Art in communications. From there she took on the role as Executive Director at ArtStarts in Schools. ArtStarts is a charitable organization all about expanding the role of art in education and promoting the value of creativity in young people’s lives. Her early leadership development was rooted in the principle that “organizations don’t succeed, people do.” Over the past eight years, Navida has kept organizational culture as the primary focus of her attention and this in turn has led to building an innovative shared purpose team where people thrive. Vanessa Richards, is an interdisciplinary artist and community-engagement facilitator. Her work encourages creativity in common life and the role of the civic imagination. She is the founder and song leader for the Woodward’s Community Singers and director of Creative Together, a song based facilitation process. As a volunteer, she is an active director with the Hogan’s Alley Society. Since May 2017, she’s been working as the Director of Community Engagement at 312 Main to transform the former headquarters of the Vancouver Police into a new coworking centre for social and economic innovation. In Feb 2018, she received the Mayor’s Achievement Award for her work in community engagement.